Replacement: None. 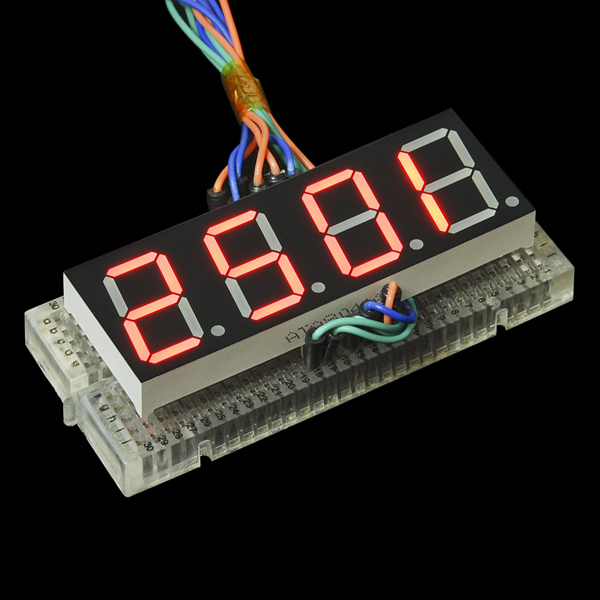 We are no longer carrying this 7-segment display in our catalog. This page is for reference only. 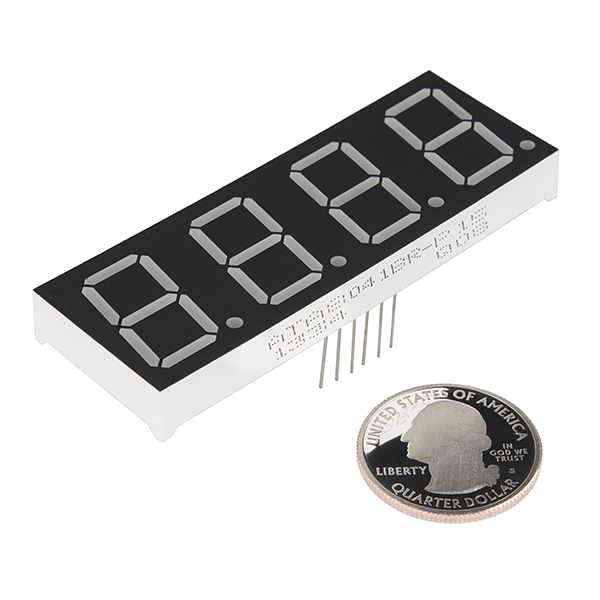 These common-anode displays feature 4 x 7-segment digits and one decimal point per digit. The LEDs have a forward voltage of 1.9VDC and a max forward current of 20mA. 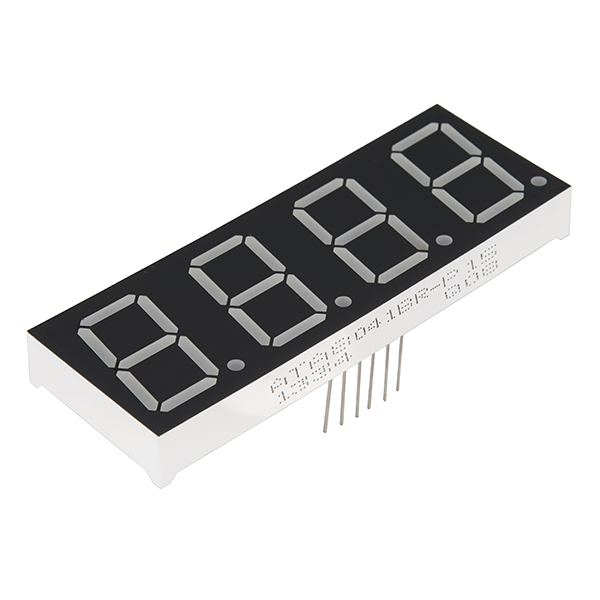 Note: Due to a supplier mix-up we got these common-anode 7-seg displays instead of our normal common-cathode version. Make sure to check the datasheet listed below for additional information. We will not be stocking these displays again once they are gone, unless you beg us to. People have been begging for these for some time now. Is there a footprint with the proper pin out for this part in the eagle parts lib? If not, can we get one? Hi Mike, You should be able to use the "7-SEGMENT-4DIGIT-COUNTER" device from SparkFun-Displays.lbr . It has the correct pinout (they made it common anode/cathode agnostic). Do note that according to the datasheet this product is 71.6mm in length, whereas that device is 64mm. 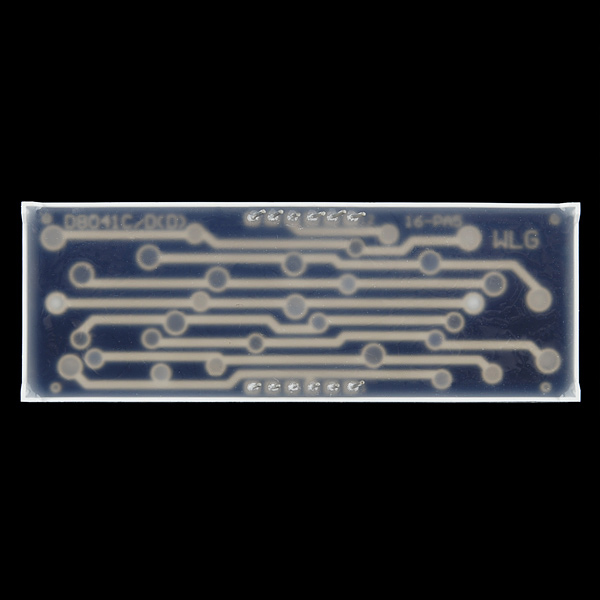 The pin spacing is correct, however, so you should be able to adjust the package for the device pretty easily, or just keep a little extra space to the sides when designing your board. Thanks. I would also like to +1 for making this part normal stock. +1 for making these normal stock. I'm begging. Just got them in mail Friday. Working by Saturday. Checked all with test. No problems with any of the 10 ordered. Thx!! !